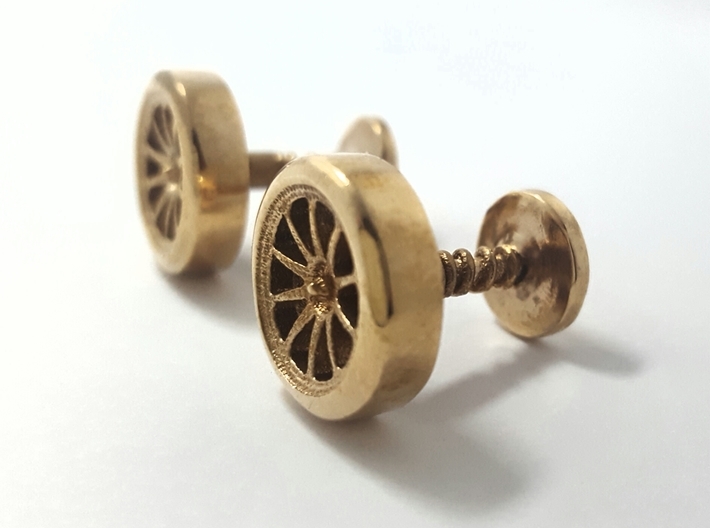 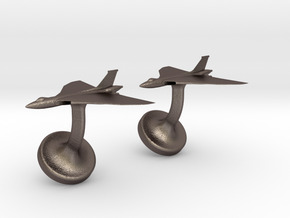 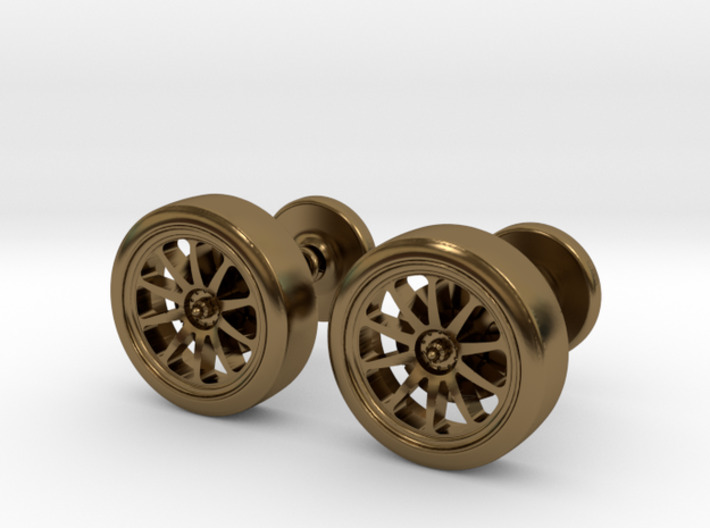 A fantastic pair of mens cufflinks which have been styled as a Formula one racing wheel, similar to the 2017 Formula one wheel tested by the Renault race team. 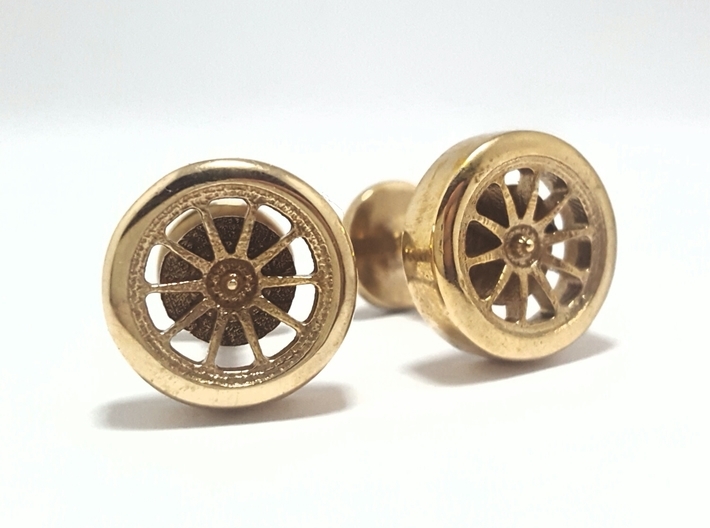 This cufflink has a slick tyre & comes complete with brake disc and caliper and set on a bar styled as a shock absorber. 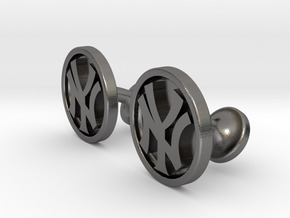 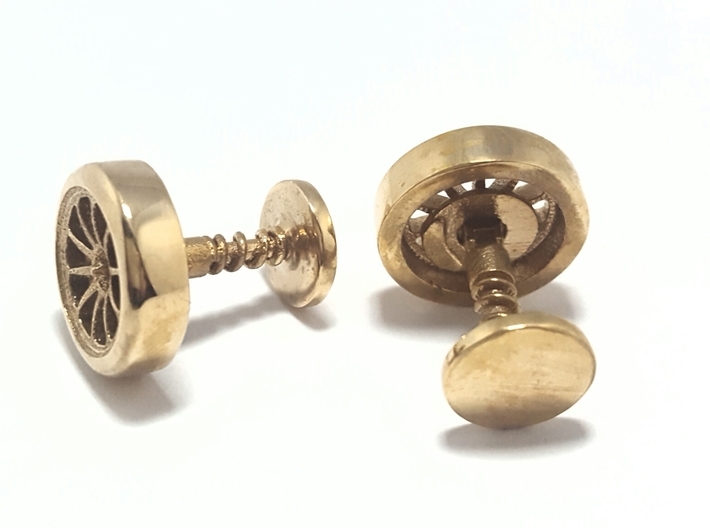 These stylish cufflinks are extremely well detailed and make a perfect gift that the recipient will adore forever. 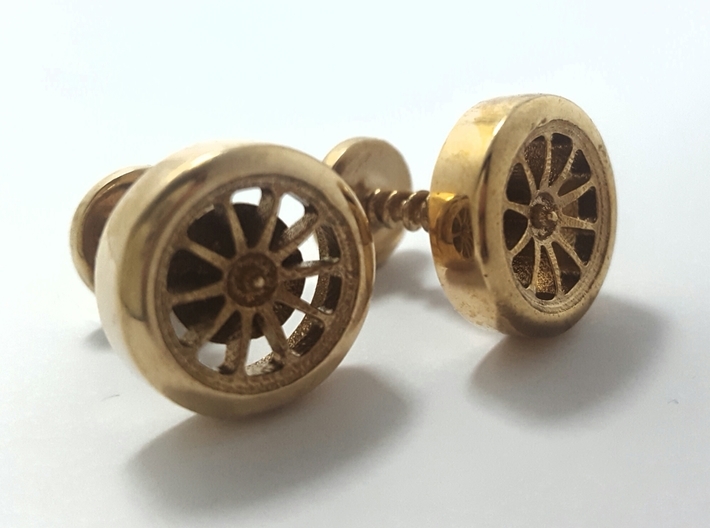 The Formula 1 cufflinks would suit the motorsport enthusiast, and would look great worn for the office or a black tie event. 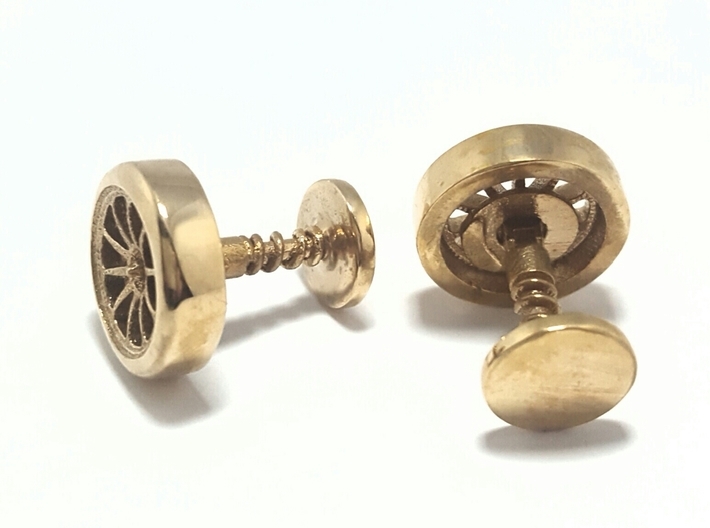 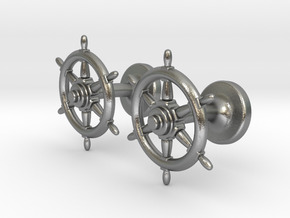 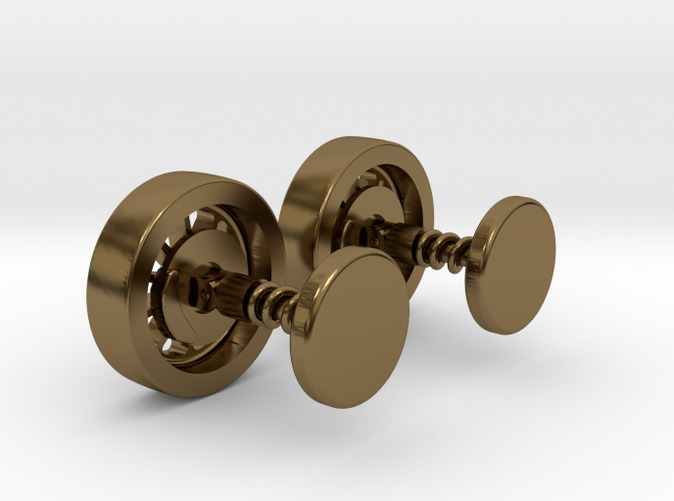 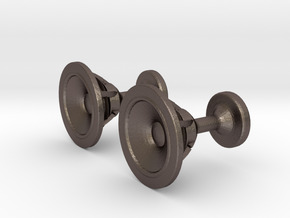 These cufflinks are available in a wide variety of materials from sterling silver to stainless steel.